Howerver , I have removed the Data code （HashData.inc）from the project ,if u want to complie it ,u have to fix the data refered urself 😉 ! 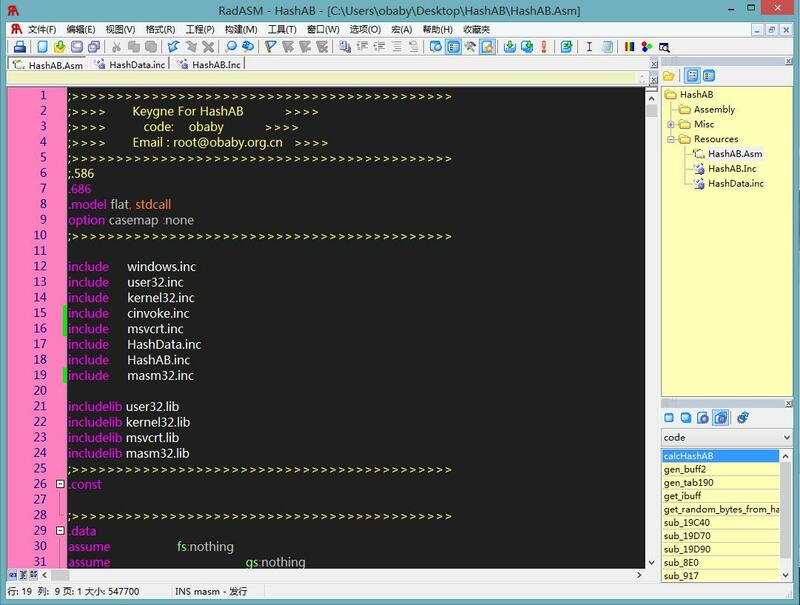 All codes was reversed from the linux hashab.so library file. 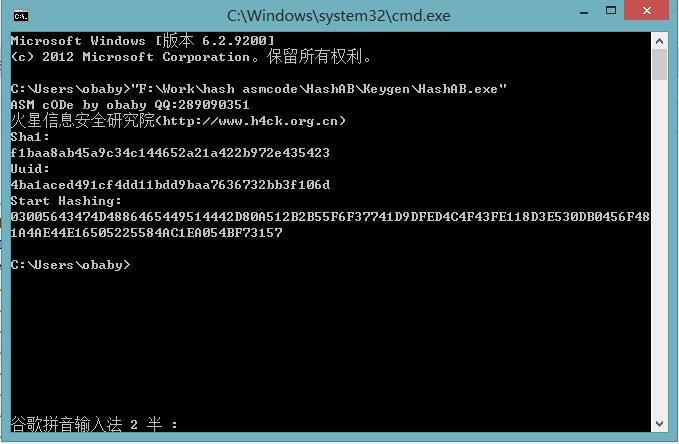 I convert the code from linux to windows, so now it can complied via radasm or winasm.